Pioneers in the industry, we offer digital sound level meter, sound level meter, datalogging sound meter, sophisticated sound meter, integrating sound level meter and digital sonometer from India. Our company has curved a distinct niche in the industry for manufacturing and supplying an exclusive range of Sound Level Meter. The offered meter is manufactured using optimum quality raw material and cutting edge technology in line with industry norms. Used to measure the frequencies of the noise traveling in the surroundings, this meter is highly acknowledged by our customers for its varied designs and sizes. Apart from this, offered meter is checked by our quality examiners on different parameters. 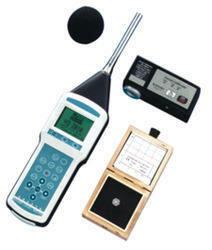 Our organization is actively engaged in manufacturing and supplying of Datalogging Sound Meter. 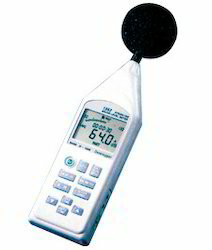 The offered meter is appreciated for its quality features, ideal for environmental noise level assessment. Our provided meter is manufactured using quality proven components and advanced technology in line with industry norms. Furthermore, we provide this meter in variegated sizes and designs to our valuable clients at nominal prices. In order to attain the maximum satisfaction of our esteemed clients, we are engaged in providing best-in-class Sophisticated Sound Meter. 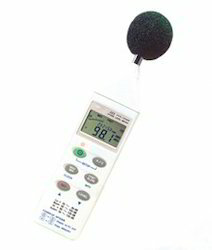 The offered sound meter has various applications like to measure noise in factories, schools, offices, airports and auditorium. Our provided sound meter is precisely manufactured by our skilled professionals using optimum quality components and progressive technology. In addition to this, provided sound meter is tested on different quality measures so as to ensure its quality. Evaluation of noise emissions from machines or equipments. 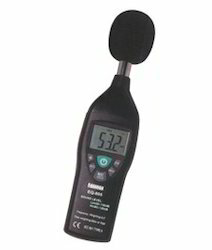 We hold expertise in providing an extensive range of Integrating Sound Level Meter. The offered meter is manufactured using the finest quality components and cutting edge technology in line with industry norms. Our provided meter has a wide measurement range, and a host of features like a-c-linear weighting, slow-fast-impulse time response, detachable microphone, rechargeable battery and alphanumeric display. Apart from this, our prestigious clients can avail this meter from us at nominal prices. In a compact case protected by a shockproof cover, the C.A 832 digital sonometer by Physics Line checks sound levels from 35 to 130 dB in conformity with standard IEC 651 type 2.